Our experiened right-of-way crews use specialized equipment and procedures to minimize environmental impact. With 25+ years of experience, Zielies strives to meet all performance targets on time and within budget. We’ll work with you to ensure that projects are done safely, and to your standards. 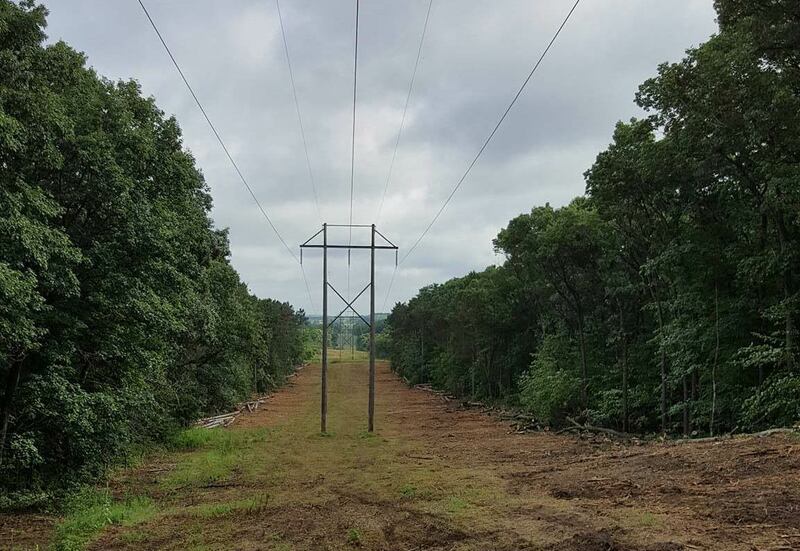 Zielies Tree Service has worked on numerous right-of-way clearing projects to support new transmission line construction; as well as, widening of existing right-of-ways. With an arsenal of experienced crews and highly specialized equipment and trucks, we’re capable of maneuvering through tight spaces, vast tracks of land, and even environmentally sensitive areas where minimizing environmental impact is crucial. Our right-of-way clearing crews adhere to the regulations set forth in OSHA 1910.266 (logging standards). As conditions and regulatory standards are constantly changing, it’s crucial that your right of way contractor is adaptable, smart and proactive. Zielies Tree Service has what it takes.